Tom Bolton — one of the leading authorities on London's lost rivers — reviews the new edition of the city's 'lost river bible'. The gentleman signing books behind the Guildhall Library main desk is naggingly familiar — definitely older but, when it clicks, unmistakable from the fly-leaf of The Lost Rivers of London. This is retired hand surgeon and quiet London legend, Nicholas Barton, and the occasion is the launch of a new edition of London's lost river bible, 54 years after it first came out. 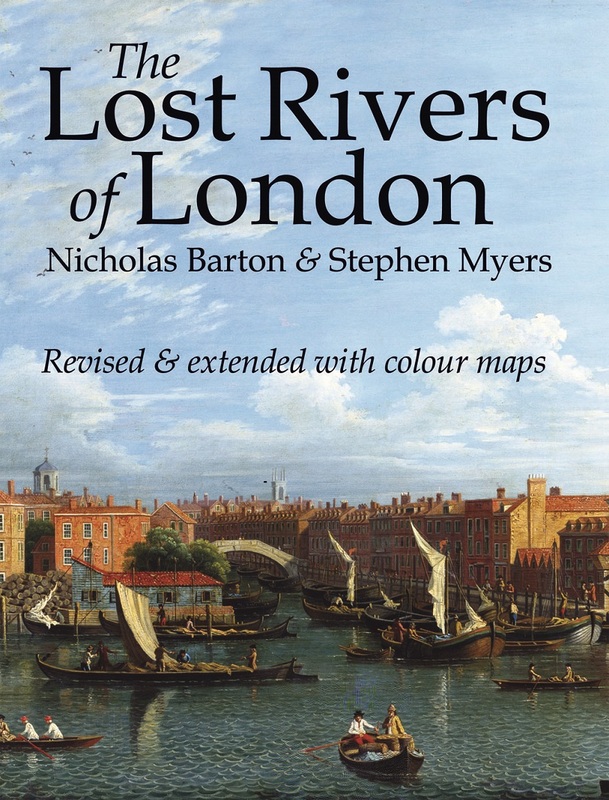 For years The Lost Rivers of London was the only book on its subject. Written in the scholarly style of its time, applied to everything from monastery tide-mills to maps of ghost reports, it has been regularly reprinted and occasionally updated. The last revamp was in 1992, but this time Barton has a collaborator: Stephen Myers, water engineer and author of Walking on Water — London's Hidden Rivers Revealed. His 2011 book (incidentally now out of print, and selling for up to £3,000 second hand, so look after your copy) was one of a new wave of lost river books, along with Paul Talling's London's Lost Rivers and this author's London's Lost Rivers: A Walker's Guide. All three came out at the same time through an unsuspected cosmic alignment, and paid tribute to Barton. This new interest prompted Historical Publications to bring in Myers to add new detail to Barton's classic. The biggest change is a new set of A-Z maps, tracing the likely courses of rivers through the modern streetscape, something Barton had never attempted. The maps are fascinating, and come with a lengthy and delightful legal disclaimer pointing out that the routes “by the very nature of their character, hidden from sight… have involved a degree of speculation”. The tension between physical reality and imaginative recreation is indeed what gives these mysterious rivers their singular appeal. The other show-stopper is Stephen Myers's new theory on the source of the Walbrook. He traces the river, previously thought to rise in Shoreditch, all the way north to Cloudesley Square in Islington. This lengthy section of river never appeared on any map because, according to Myers, it was stolen by monks. The brothers of Charterhouse built their own pipeline, diverting the upper Walbrook to build their own long-distance water supply, which is still working today. Myers’s apparently bizarre theory, carefully evidenced and very convincing, is worth the price of the book alone. The new edition has lost some of the fascinating social details dating from its 1960s origins, such as the “dirty, dreary, damp tenements” of Fleet Road in Hampstead. However, Myers's engineering expertise has led to new information on everything from hydrology and water tables to siphons and Bagshot sand. Despite decades of exile in Gloucestershire, Nicholas Barton's contribution to esoteric London history is immense, and his masterwork lives on. Another edition will surely be along in a decade or two, but in the meantime this one is indispensable.